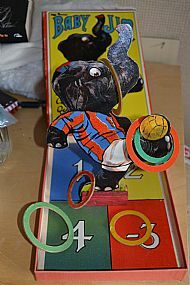 Well I was in a Belgian flea market and came across this game early one morning. 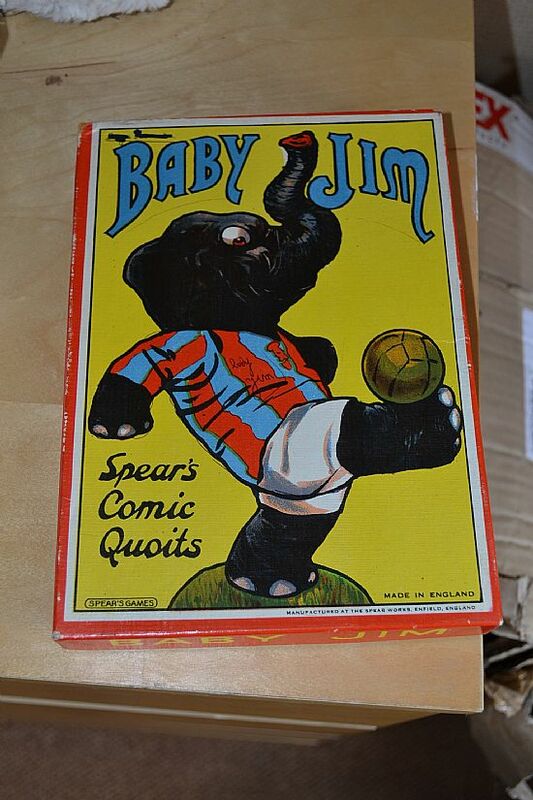 It sort of qualifies as a sort of football game, so please welcome baby Jim! 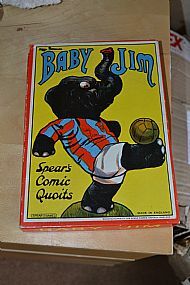 Spears Comic Quoits game made forr the French market in the 1960s I guess. A nice bit of fun. 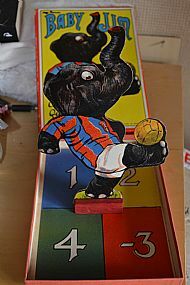 Gayly coloured elephant footballer that you throw hoops at. 3D elephant in the middle of a target board. Harsh scoring - aim for the ball and fall short and its -3 for you sonny. Scores galore here both positive and negative.